If you fancy something slightly sweet after dinner but don’t want the richness of a hot chocolate, Golden Latte’s are the one. 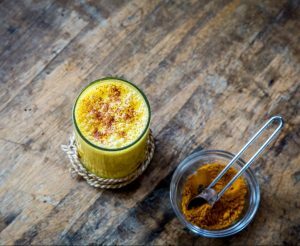 Full of nourishing and warming spices this drink is the perfect bedtime snack. Did you know we have a product, Golden Quench that does all the hard work for you, simply pour into a saucepan heat up and enjoy! 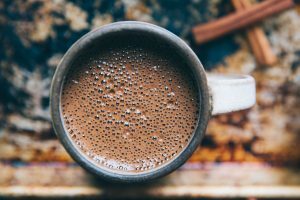 We couldn’t have a list of bedtime drinks and not include hot cacao. Jazzing it up from the traditional hot choc, cacao has extra nutritional benefits and a slightly richer texture. Add a spoonful of cacao, a drizzle of sweetener (rice malt syrup or honey) into a saucepan with a cup of your favourite Pureharvest non-dairy milk, we personally love using Coco Quench. Et voila, a delicious and nutritious hot chocolate. Want something warming but without all the added flavours. A nice cup of hot milk was my childhood favourite. I personally love heating up some Almond Milk on the stove and sipping on it while I settle down in front of the TV. It’s the perfect warming drink to have right before bed. If you tummy is feeling a little unsettled or you had just a bit too much at dinner, a hot cup of ginger tea is the one for you. Ginger is great for settling the stomach and isn’t as rich as the previous drinks mentioned above. 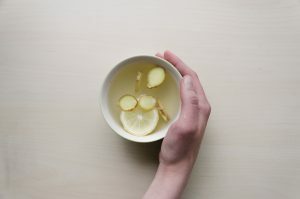 We love mixing in a bit of lemon and honey when we are feeling under the weather and want an added hit of nourishment. This one is a classic. 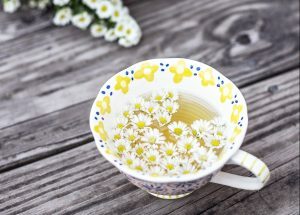 Chamomile tea is the first thing I reach for at the end of a busy day, it calms my mind and my stomach and is perfect right before bed.